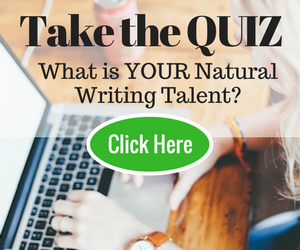 Maybe you think it’s a challenge to find clients for your freelance writing business. Maybe you’ve tried your hand at in-person networking events. Pitched editors and marketing managers of companies? But the results are far below your expectations. There’s a much better alternative you might be missing. In mid-2012, I received a request from an acquaintance to connect on LinkedIn. I already had a LinkedIn account but it was dormant, with just 60-odd connections. I’d almost forgotten it existed. When I accepted the request, I saw that many people were looking at my LinkedIn profile, and some of them fit my ideal client market. Over the next few days, I updated my profile, added a fresh photo and sent out a few invites. As time passed, I received new connection requests. I couldn’t believe my eyes when an editor from a reputed online publication added me. That was a glorious moment. I instantly sent them a “Thank you” message. (Looking back, I was acting like a kid in a candy store, but never mind that.) What happened after that was life-changing. The editor replied to my message and said my profile looked interesting. No amount of in-person networking can provide this. Don’t get me wrong – networking events are great for boosting your confidence. But they don’t attract the targeted leads you want. LinkedIn lets you pick and choose whom you connect with – the potential is unlimited. In December 2013, an unknown person added me to her network. Her profile didn’t clearly spell out what she did. Hi Name, How are you? Thank you for adding me to your network. I’d love to know more about what you do – and help you the best I can. Looking forward to hearing from you! She was looking for a writer. After a few email exchanges, I found their pain point, offered my help and suggested what they could do next. This company went on to hire me to write blog posts at $150 per post – all because of my small gesture of reaching out, asking if she needed help, and offering it. Don’t wonder if they’ll hire you – that’s not important. Simply offer help that you’d ideally charge for. This is when you tell the client what you can do for them. How they do it is entirely up to them. They may do it themselves, or hire you. Chances are – they’ll do the latter. For example, guest posting was one of the things I suggested to this client, and backed it up with some stellar examples of what it had done for a few clients. She immediately asked me if I could help. Now that you know how I’ve made over $7500 from one email, here’s how you can do it too. 1. Create a profile here. 2. Add a profile photo, and keep it professional. 3. Add your title – this is vital real-estate. Mine says “Blogger | Freelance Writer | Editor | Behavioural Specialist” because that’s what I do. 4. Ensure your Title and Summary have relevant keywords in the description so people can find you. For example, if you want to show up for “technical writer,” have these keywords in your title. 5. Add your websites in your profile. You can add a link or upload a file to give people more information about what you do. 6. Fill in your Experience, Publications, Skills and Endorsements (use rich keywords here), Education and any additional information you think will help boost your LinkedIn searchability and attract prospects. 7. Become a member of groups related to your industry. You might choose to be a member of “magazine writers” and “report writers.” According to LinkedIn data, group participants get 4 times more profile views. The more you comment and contribute to the group, the more profile views you get. 8. Ask for a Recommendation. [tweet_dis] The number one rule of networking is to give before you ask. [/tweet_dis] Give your clients something so good that they are compelled to write you a 5-star testimonial. You can also recommend others you’ve worked with, and ask them to return the favor. Log in to your account every day. Make it a part of your daily marketing hour. If that sounds too much, you can schedule 15-30 minutes every couple of days. Under the “Profile” tab, you can see who’s viewed you in the past week. If many people from the IT industry are viewing your profile, it’s because you’ve used keywords related to that industry. Good for you if you’re looking for technical-writing jobs! If you’re getting many profile views every day, return the favor and check out the profiles of those who viewed yours. Found someone who is an exact client match? Send them an InMail (paid LinkedIn feature). If you don’t want to pay for a subscription, you can add this person as a connection and then send them a message. (To send a request, they need to be in your “network,” separated by you by up to three degrees of connection.) If they are out of your network, you can still use InMail to reach them. Once someone adds you, send them a “thank you” note. It doesn’t have to be anything fancy – just introduce yourself and ask how you can help. If you both have something in common, make it a point to include that. This shows you’ve taken the time to read their profile. A question most people cannot resist answering is “I’d love to know more about your business – could you tell me more?” The point of doing this is to get a conversation going. You want to engage them. Once you’ve had a few email exchanges, take the conversation to a more personal platform. Ask if they’d like to schedule a quick chat on Skype where you can discuss their business further. They want undivided attention from someone who can help them achieve their goals. Be that person. On the call, share helpful tips. You don’t have to share anything new – you can repeat what you discussed on email and reiterate it, using examples. Tell them you’re in the business of helping people do exactly what you’re suggesting to them. If you do it right, you might’ve found yourself a client! LinkedIn is your readymade platform to launch your business, giving you targeted leads that convert to revenue. In my experience, leads on LinkedIn pay much more than leads on job sites. It’s less time-consuming and less daunting to reach out to anyone on LinkedIn than in any other way. LinkedIn helps you create a more focused network for your marketing efforts. Connections lead to more connections – and more business! So go ahead and give it a shot. How do you use LinkedIn to grow your writing business? Share in the comments! Pooja is an Online Business Coach + Writer & Editor. She helps new writers find more clients and live the Un-9-5 life. Check out her step-by-step course on breaking into freelance writing. Well, this was an interesting item, thanks for putting it up, I’m also likely going to check back on what other folks are sharing! are a group of volunteers and starting a new project in a community in the ssme niche. Your bblog provided us useful information to work on. You have done a outstanding job! Good to see you here, Ali 🙂 Glad you found this helpful! this this website conations genuinely good funny data too. anybody getting the same RSS problems? Anyone who knows the solution will you kindly respond? It’s really very complicated in this full of activity life to listen news on TV, therefore I only use internet for that purpose, and get the most recent news. I read your article in my reader, and I had to stop by to leave a comment! It is an excellent article, with loads of tips. Thank you for taking the time out to write out such a great post. Thank you for taking time to leave a comment. 🙂 I hope you’ll apply the tips in your own business! Thank you for sharing. I too have a LinkedIn account and a member of some groups but not active. You got me thinking it is time to act. Thanks for the comment Suzan! Indeed, give it a go and let me know if you have any questions. Thank you for sharing the excellent advice Pooja. I have a question. Which category do you use when contacting people who view your profile? I’m not sure what you mean by category — could you elaborate please? Thank you for replying. Here is a better explanation. You click on a person’s profile, and get ready to send them an InMail. Under your contact information, there is a drop-down menu labeled “Category” right above the subject. The choices are Career opportunity, Consulting offer, New venture, Job inquiry, Expertise request, Business deal, Reference request, and Get back in touch. Which one of these categories do you choose when contacting someone who veiwed your profile? Ah, I get it now. Thanks for clarifying Burlingtina. Ideally, you want to try connecting with them first instead of sending an InMail. That’s a much better approach to build connections because you have them on your LI network, keep a tab on their latest and stay in touch. If they are out of your network and there is no way you can connect, or if they don’t respond to your request and you absolutely want to have this person as your connection, use InMail. In the latter case, I’d say go with Get back in touch category and mention that you saw them checking out your profile. Were they looking for something? How can you help? … Start there. The other category I’d try would be “Expertise request” (if you are connecting with an editor and want to “pick their brains” — careful not to ask too much though; be respectful of their time). Again, there is no right or wrong way to do this. Experiment and play along with different categories, but as a thumb rule, instead of asking a favour at the first point of contact, choose a category that’s neutral or a compliment to them. Does that answer your question Burlingtina? Thank you so very much. Yes, that answered my question. Your answer helps me so much. So glad I could help Salma! Let me know how you go with it. I have a question though. If I spend all my time writing my blog and freelance stuff, doesn’t that become like any other job that keeps you from writing your novel? It makes intuitive sense to make money from writing if you love to write – but if my goal is long fiction, time spent away from working toward that is the same whether I spend it working at Starbucks or writing ad copy, right? You’re right — if you want to write fiction, you’ve got to find other avenues to pay the bills. And that’s OK.
And no, it doesn’t have to be working the same long hours. I average 6 hours a day whereas in my IT days I would go 10+ hours (including commute time). In short, this post is geared towards those who want to make an income from writing. But if fiction is your cup of tea, I urge you to read some other posts on WTD’s Fiction category — they’ve got a great collection! This is a huge problem for me. I’m a sotware developer, so my LI profile is geared toward that. (And, NO, I don’t want to write about software. I know how lucrative it is, but at the end of the day I need to get away from it for a while. In fact, thinking I just had to write about software almost made me ditch freelancing entirely.) I’d love to be able to leverage it for freelance writing instead, but it’s too important for coding, and right now coding pays the bills. I do want to say congrats to you for discovering how to leverage the power that is LI. It’s been great for my software development career. I can’t tell you how many recruiter messages flood my inbox. (And I don’t even have a pic up. In my field you can get away with it, though.) There are many more people who view my profile but don’t connect or message. It’s an excellent way to put yourself out there. You make an interesting point. If you’ve got multiple professions/interests, you can either create another page for your freelance writing services (although you’ll have to check with LI’s terms) or add a section under your software business bio in the same account (I actually do this for coaching and freelance writing). I know what you mean — I am from an IT background myself. I quit my job in 2009 and although I don’t “code” anymore, my IT skills come in handy big time. Clients don’t just want a writer these days — they want someone who can multi-task and is an all-rounder. I’ve went on to create many beautiful and fully functional WordPress sites; I do a lot of backend tweaking and help them with their technical hiccups to name a few. I love this post. So practical and step-by-step. I’m going to update my profile today. Good to hear that Suzanne! Let us know how you go. Excellent, Pooja. I know many others in various industries that SWEAR Linkedin is the ticket. I have an account because of some contract work I did this past year, but you’ve got me thinking I should look at it in a whole new light. Thanks! I am glad it’s got your thinking! Let me know how you go 🙂 and thanks for stopping by.